I have a copy of this same print. The only differences being a) that mine does not have 'aet 52.' written below Morris's signature, and b) that the actual signatures are not identical on both pictures. It would appear that Morris had these small photographs made for him to individually sign and give to his friends. However, yours and mine are the only two still in existence that I'm aware of, though I'm sure there must be others. 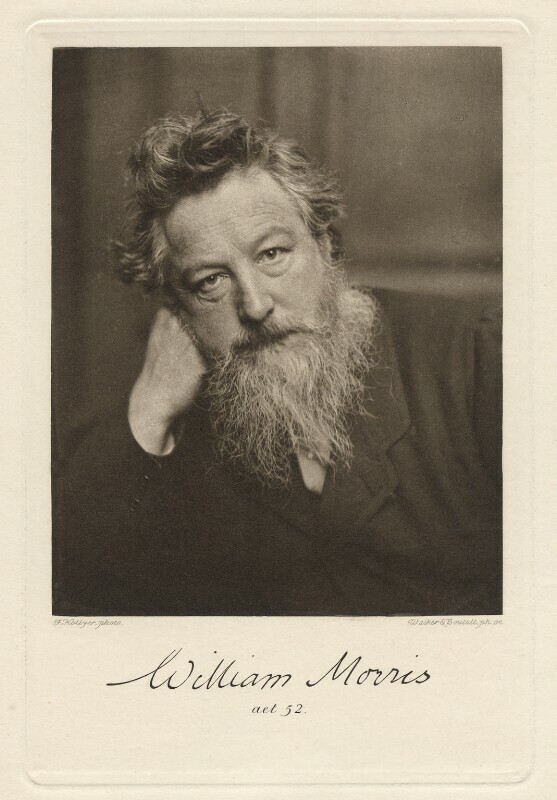 Therefore, if this is indeed what aet 52. refers to, this picture cannot have been printed in 1884 as your description states, since William Morris was born in 1834, making him only 50 in 1884. Many thanks for the opportunity to share my thoughts. Any feedback will be greatly appreciated.